The journalist left no stone unturned in his efforts to discover controversial statements by Prof. Robinson. He found three academics willing to berate Prof. Robinson: Lydia Wilson, an Oxford and Cambridge research fellow and editor of the Cambridge Literary Review, Yasser Munif, a Lebanese expert on middle eastern politics and society at Emerson College, Boston and Nader Hashemi, director of the Center for Middle East Studies at the University of Denver. They offered nothing more than their personal opinions. 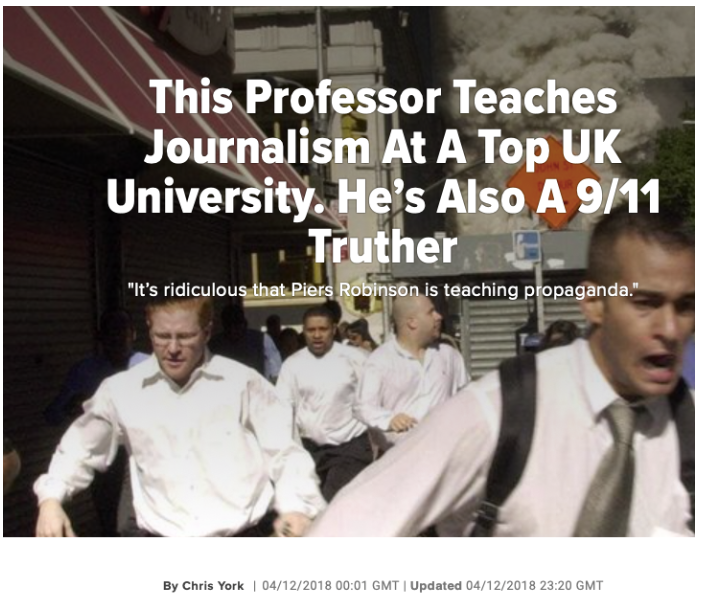 Disregarding the rule of neutrality, HuffPost did not talk with academics who support Prof. Robinson or with any of the thousands of academics and experts who share his conclusions. Prof. Robinson is entitled, like any other person, to the presumption of good faith. To insinuate that his research is “conspiracy-theory driven” is unconscionable. The attack on Prof. Robinson was no personal vendetta. It rather represents an attack on all scholars who dare question the official account on 9/11, including myself. 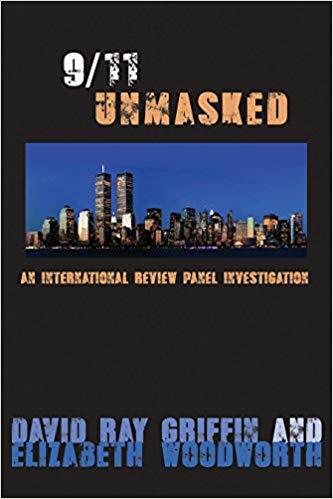 In the present article, I intend to expose one particularly grievous lie promoted by the U.S. government with regard to 9/11, namely the legend that 19 fanatic Muslims boarded and hijacked four aircraft, in order to crash these aircraft on known landmarks. A comprehensive study of this particular question is found in my book “Hijacking America’s Mind on 9/11” (Algora Publishers, New York, 2013). Formal identification of the bodily remains from the crash sites, accompanied by chain–of–custody reports. Did the US government produce the above four classes of minimal evidence and if so, is that evidence admissible, relevant and compelling? If such evidence does not exist or is deemed to lack credibility, it is likely that these individuals did not board the aircraft and that, consequently, no “Islamic hijackings” had taken place. He said he does not believe his brother was involved in the crime: “He never had any such intention.” Gaafar al-Lagany, the Saudi government’s chief spokesman in the United States, said that the hijackers probably stole the identities of legitimate Saudi pilots. The above findings have been corroborated independently by Jay Kolar. The FBI disregarded these stories and maintained the names and photographs it originally posted on its website as those “believed to be the hijackers” of 9/11, including those of living individuals. The 9/11 Commission of Inquiry did not even mention these conflicting identifications. The primary source used by airlines to identify the victims of aircraft crashes is the passenger list (sometimes designated as the flight manifest). A passenger list is a legal document proving – also for insurance purposes – that particular individuals boarded an aircraft. In order to serve as legal documents, passenger lists must be duly authenticated by those responsible for their issuance. With regard to the four 9/11 flights, American and United Airlines have consistently refused to demonstrate that they possess authenticated passenger lists of these flights. Surprisingly, neither corporate media nor the 9/11 Commission demanded to see these authenticated documents. Between September 11 and 14 September 2001, mainstream media published names of alleged hijackers and passengers. Some of these names were deleted and replaced by other names. Some of these irregularities are examined below. On 14 September 2001, the name of Mosear Caned (phon.) was released by CNN as one of the suspected hijackers on “a list of names (…) that is supposed to be officially released by [the Justice Department] sometime later today”. His name disappeared a few hours later from the list of suspects and replaced with that of Hani Hanjour when CNN posted a new list of suspects released by the FBI. It was never revealed where Caned’s name came from in the first place, who this person was supposed to be and why the name was later replaced by Hani Hanjour. No other passenger (or “hijacker”) bore a name resembling Mosear Caned. The Washington Post reported, however, that the original passenger lists did not include the name of Hani Hanjour, later named as the pilot of flight AA77. In its final edition of 16 September 2001 the Post explained that Hanjour’s name “was not on the American Airlines manifest for [flight 77] because he may not have had a ticket.” For its information, the Washington Post relied almost exclusively on the FBI. This report fits with the declaration by Attorney General Ashcroft of 13 September 2001 that only four “hijackers” had been on flight AA77. Counsel for American Airlines, in a letter to the 9/11 Commission of March 15, 2004, appears to confirm the absence of Hanjour from that flight, writing, “We have not been able to determine if Hani Hanjour checked in at the main ticket counter.“ Yet Hanjour’s name appears later on unauthenticated passenger lists of flight AA77. “[f]ederal sources initially identified [Adnan] Bukhari and Ameer Bukhari as possible hijackers who boarded one of the planes that originated in Boston.” (emphasis added). On the very day of 9/11, the FBI was already focused on [Amer] Kamfar” as a suspected hijacker. On the morning of 12 September eight FBI agents stood in front of the door of Henry Habora, Kamfar’s neighbor in Vero Beach, Florida, waiving a photograph of Kamfar, and asked Habora if he knew him. If the FBI suspected Kamfar to have been one of the hijackers and informed the media that he was a suspect, it could only have done so if his name was found on the original passenger list. Yet that name also disappeared from unauthenticated passenger lists publicized later. Also among the confirmed dead was Jude Larson, the 31-year old son of Maui artist Curtis Larson, who was aboard American’s hijacked Flight 11. Jude Larson and his wife Natalie were en route to the University of California at Los Angeles, where he was attending college…Larson’s wife Natalie, whose family lives in Boston, was a rising fashion model and had been to Italy four times in the last 18 months to work for Gucci. A person who claimed to be a friend of Jude’s father, a certain Steve Jocelyn of Lahaina on Hawaii, told the Honolulu Advertiser that Jude “was an amazing guy, a cool kid. He was a fun-loving, happy-go-lucky guy with a good heart.” He said that Jude had visited Maui often, was working as a horticulturist in Washington State but decided to enter medical school a few years ago. A week later, the same newspaper reported that it had been “unable to confirm the identity of (…) Steve Jocelyn,” and unable to locate him. On 18 September 2001, the Honolulu Star Bulletin reported that the newspaper had received an email from Jude, giving notice that he and his wife were alive. According to the paper, “a person claiming to be with the airlines” had called Jude’s father and told him that his son and daughter-in-law had been passengers on flight AA11. The Honolulu Advertiser of 20 September 2001, which published a detailed report on this apparent hoax, wrote that Jude’s father Curtis Larson, a “sculptor and jewelry maker” now claimed he had been duped. Yet it was Curtis Larson who initially told reporters, that “his son was in medical school at UCLA, that his daughter-in-law was pregnant and that the couple had visited her family in Boston.” According to Jude, the report continued, his real name is not Larson but Olsen. He also said he is 30, not 31, years old, that he does not study in Los Angeles but works as a landscaper in Olympia, Washington State, and that his wife is not pregnant. The names of Jude and Natalie Larson then disappeared from unauthenticated passenger lists. Assuming that a prestigious news agency, such as Associated Press, would check with American Airlines and the FBI whether the Larsons were passengers on flight AA11 before releasing its story, it would follow that the Larsons were listed on the original passenger list of flight AA11 but later removed from the official list of dead passengers, or their names changed. The aforementioned fluctuations in the number and names of the alleged hijackers could not have occurred if the names had been based on authentic passenger lists. At the time of the incidents we released the actual passenger manifests to the appropriate government agencies who in turn released certain information to the media. These lists were published in many major periodicals and are now considered public record. At this time we are not in a position to release further information or to republish what the government agencies provided to the media. The airline did not explain why it was not in a position, at this time, to confirm what had already been for a long time in the public domain. What I am asking is a replica of the original passenger list (either a scan of the original, or at least a document faithfully reflecting the contents of that list)…[namely] the list of the paying passengers who boarded AA77. Can I take it that the list you sent me faithfully reflects the names of the paying passengers who boarded AA77? Within hours Sean Bentel answered in the most laconic manner: “Mr. Davidsson, Names of terrorists were redacted. 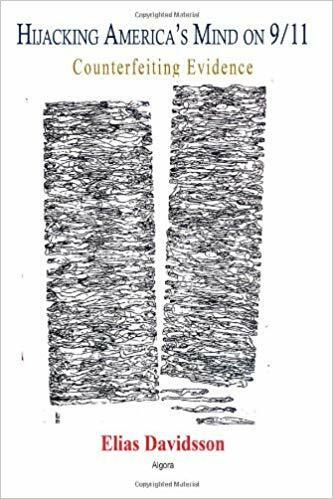 Sean Bentel.” Asked in return “[w]hy can’t you sent me a facsimile copy of the passenger lists, including the names of the terrorists”, Sean Bentel answered, “This is the information we have for public release.” This was the end of this exchange. I also turned to United Airlines. On October 21, 2004, I asked per email why the original flight manifests have not yet been publicized and whether United Airlines had provided some media with a copy of the original flight manifests. The airline answered that “[a]ll matters pertaining to the September 11th terrorist attacks are under the investigation of the US Federal Authorities. Please contact the FBI.” That was it. I did not give up. In February 2012, I requested on the base of the Freedom Of Information Act (FOIA) from the FBI the release of Document 302, serial 7134, which contains “flight manifests for hijacked flights” and “information related to manifests.” The request was denied. Apparently none of the three airports from where the 9/11 aircraft reportedly departed (Boston Logan, Newark International and Dulles Airport, Washington, D.C.) possessed security cameras at the boarding gates. There exists thus neither eyewitness testimony nor a visual documentation of the boarding process. Yet many people are convinced that they saw on television footage of the suspected hijackers passing through security checks. What was shown appears to have been footage from the Portland (Maine) Jetport and from Dulles Airport in Washington, D.C. The footage from Portland Jetport purports to show two men, captioned “Atta” and “Alomari” passing the security checkpoint before they board a connecting flight to Boston on the morning of 11 September 2001. Even if the video recording from Portland was authentic, in the sense of depicting two persons resembling “Atta” and “Alomari”, it does not prove that these two look-alike persons boarded any aircraft in Boston. The other footage shown on TV and found on internet sites, purports to depict the alleged hijackers of flight AA77 as they pass through the security checkpoint at Dulles Airport in Washington, D.C. This recording was only released in 2004, not by the authorities, but by the Motley Rice law firm representing some survivors’ families. According to the 9/11 Commission, the video “recorded all passengers, including the hijackers, as they were screened.” Yet none of the publicly available versions of this recording shows any of the over 50 passengers from flight AA77, some of whom were well known nationally. Aside from the dubious origin of this recording and the lack of a date and time stamp, it does not show who boarded an aircraft but provides only blurred images of individuals who pass a security checkpoint at an unknown time and location. According to the official account, the 19 alleged hijackers died in the crashes at the WTC, the Pentagon and near Shanksville, Pennsylvania. The lack of positive identification of the alleged hijackers’ bodily remains, compounded by the absence of chain-of-custody reports regarding these remains, means that the US authorities have not proved that the alleged hijackers died on 11 September 2001, let alone at the reported crash sites. 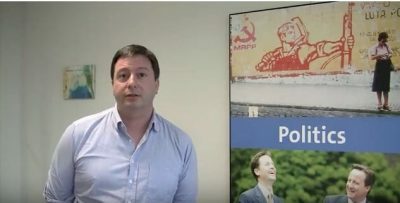 A government not implicated in a mass-murder committed within its jurisdiction would be expected not only to seek the truth about the crime, but show particular zeal in doing so. It would present the most incriminating evidence it possesses against the suspects. It would do so both to satisfy a legitimate expectation of its own population (and in the case of 9/11 of the world community) and to dispel any existing suspicions of a cover-up or of complicity in the crime. In short, such a government would do its utmost to show its good faith in seeking the truth and ensuring that justice is fulfilled. The U.S. government has, on the contrary, demonstrated bad faith regarding the investigation of 9/11. It has endeavored to thwart investigations, condoned the destruction of criminal evidence, bribed witnesses and families of victims to ask no questions regarding the events, failed to prosecute and convict even one person for complicity in the mass-murder, and as shown above, failed to produce a shred of evidence in support of its allegation that 19 fanatic Muslims perpetrated the mass-murder. I am a rather old-fashioned due to my belief in the rule of law, namely in the duty of civilized governments to prove beyond reasonable doubt their accusations against murder suspects. This obligation is derived from human rights norms, particularly the obligation of states to properly investigate cases of mass-murder (a gross violation of the right to life). The government of the United States has failed to prove the participation of Mohamed Atta, Marwan Alshehhi, Ziad Jarrah and Hani Hanjour, alleged suicide-pilots, in the mass-murder of 9/11. Their presumption of innocence must be upheld. For all practical purposes, the official tale of the 19 hijackers of 9/11 shall be henceforth considered as a crude fabrication by the U.S. government, intended to justify wars of aggression, the militarization of society, mass surveillance and the erosion of the rule of law. Academics, human rights defenders and peace activists are called upon to draw the political implications entailed by this finding. Elias Davidsson lives in Reykjavik, Iceland. He is a composer, human rights activist and a member of the Icelandic chapter of the 911-Truth Movement.